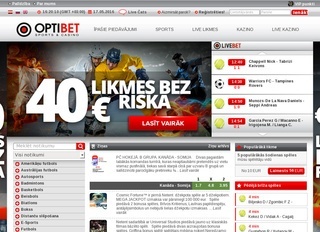 Optibet is a Baltic online sports betting platform. The first two websites – the Latvia and Estonia ones – launched back in 2008, at the time of the world economic crisis. However, the bookmaker managed to make the businesses work and started gaining traction in the market. Now, being on the scene for more than 10 years means Optibet have some long-standing and major traditions of the Baltic market. Just few years ago, Optibet launched an international, English version of their website – Optibet.com. The bookie showed that it’s ready to take on the world players and decided it’s time to put the good practices to proper use and expand the business. For now, the dot-com version is working well and gathering people from many countries. The company is licensed in the jurisdiction of Malta, Latvia and Estonia. 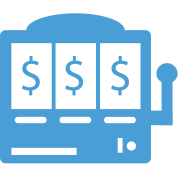 The bookie uses decimal odds format and offers several viewing languages for maximum customer comfort. The website itself is extremely cleanly built, using mainly monochrome colors – black and white. The home page contains almost anything a player needs to get instantly into the action. Picture buttons and banners lead the customers to their favorite sports, live bets or various casino games, including the most famous and live ones. Aside from the regular stuff, the Baltic bookmaker offers a variety of promotions, which change with upcoming events. Overall, the user experience is quite good. When you click to visit the sports book section, you will be greeted with a white page with red and gray buttons. Currently, the background is taken from a snow track picture, to get players into the winter sports hype. Players can bet on a large number of sports on Optibet’s online platform. To be exact, the available games are 26 and two different options – Entertainment and Special Events. So, aside from Football, Badminton, Ice Hockey and Tennis, you can bet on various elections and entertainment events. It’s always great to see online bookmakers shaking up their content. Sports are great, but there’s money to be made from political and cinema analysis, too. Also, the availability of more obscure sports like Futsal, Floorball, Biathlon and Cycling is a sure bet to gain loyal customers fast. Not everything in this world is popular sports. Live bets are also available, complemented with a Twitter stream on the right side of the page. Live coverage offers a variety of markets and sports types with a regular schedule for ease of usage. Optibet’s casino is powered by two of the biggest casino games providers – Net Ent and MicroGaming. There is a vast number of games you can play, including Glow, the new Guns N Roses slots, Pyramid, and Starburst. Aside from the slots, players can choose from a variety of Table Games and Video Poker. On the upper left side of the casino page, you can see a changing banner with the most recent winner name, how much they won and what game did they win on. You can also visit the hall of fame and see the highest winning of the month. In the Live Casino section, you can play Blackjack and Roulette, as well as their variations. Most of the tables have a minimum of 1 EUR deposit, but there are tables with minimums of 10 and 25 EUR. Optibet’s chances are excellent, often close to the betting market dinosaurs like William Hill and Bet365. Some of the best betting options are Over/Under, Correct score, various handicaps, First and last team to score for no goals. The margin, as per European betting services, goes heavily for Football. After all, it’s the most popular sport on the continent. As usual, most games offer different markets and varying odds. Live betting is the best way to make some quick cash if you know what you are doing. The Optibet website uses the latest in encryption and safety technology. Thawte is the providers of the protective protocols. Aside from the 128-bit encryption, the company is licensed by MGA – fair play and trust is a priority of many bookmakers out there. Customer service can be reached every day from 09:00 to 24:00 EET. Players can contact the department by e-mail, phone or online chat. The representatives are very polite and helpful. Players can deposit and withdraw money from their accounts using the EURO currency. The most attractive options are available; you can see them on the table. The minimum deposit and withdraw amount is 10 EUR. Usually, the transaction time for deposits is immediate, and withdrawals happen in one working day. There is no fee from the client. The best thing is there is no maximum withdrawal amount. The current bonus offers are pretty good by all standards. 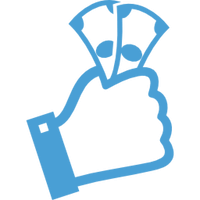 On your first deposit 60 EUR you get 60 EUR bonus. You can gain a welcome bonus in the casino up to 1000 EUR(500 EUR deposit and receiving 500 EUR bonus) and 200 free spins on any game. Aside from the warm welcome, you can currently get 50 EUR cash back, if a Jokerit Helsinki game goes to a shootout. Bisons Loimaa – if your team led by 10 points and lost the game, you can get a refund up to 20 EUR. Another cash-back initiative would give you 20 EUR back if your UEFA Championship team lost in injury time.